The makers of Gorilla Glass, Corning, has announced a new glass technology for next-generation consumer electronic devices called Willow Glass. 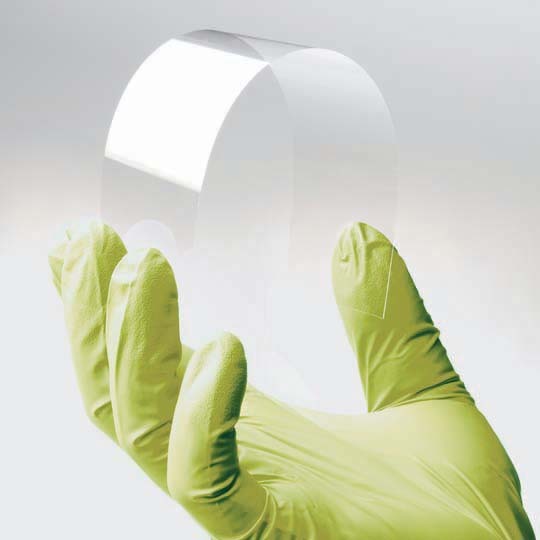 Now what’s special about this glass is that it is ultra-flexible and very thin. Corning Willow Glass will help enable thin, light and cost-efficient applications including today’s slim displays and the smart surfaces of the future. The glass is thin, strong, and flexible and has the potential to enable displays to be wrapped around a device or structure. The Glass can be processed at temperatures up to 500° C and the high temperature processing capability is essential for today’s high-end displays, and is a processing condition that cannot be supported with polymer films. Corning Willow Glass will enable the industry to pursue high-temperature, continuous “roll-to-roll” processes which is similar to how newsprint is produced, that have been impossible until now. Now we know Nokia and Samsung already have prototype devices that can be bended and are flexible. So this just might be the perfect companion for the upcoming flexible devices.